There are certain telltale signs that indicate you may need mold remediation services for your home or business in Atlanta, Georgia. 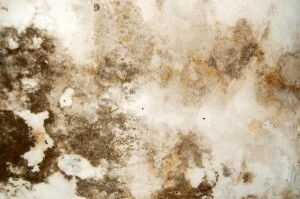 Most noticeably, if you see a very large patch of mold growing, you should seek professional assistance. But other signs include smelling a musty scent or noticing that a roofing or plumbing leak has left standing water indoors. Also, unexplained respiratory difficulties and other ailments may indicate the presence of unseen mold growth that you may need to have removed by a trained professional. While you may be able to treat minor instances of mold yourself, you should leave significant mold problems to mold remediation specialists. By attempting to clean up mold on your own, you may only make the problem worse. When disturbed, mold spores can travel easily through the air and cause mold to grow also in other sections of your home or business in Atlanta, GA. If you suspect that you do need professional mold remediation services, there’s no better company to call than Abatement Solutions, Inc. Unlike companies that simply offer mold remediation services in addition to their main line of work, we treat mold day in and day out, so we know how to fully identify the mold problem that you face, remove the mold, and prevent it from returning. To rid your home or business in Atlanta, GA, of hazardous mold growth, contact Abatement Solutions today.